Coppell Town Center was open to the public from Oct. 24 to Nov. 4 for citizens of Coppell who wish to participate in early voting. Regular voting for the US Presidential Election will take place on Nov. 8. 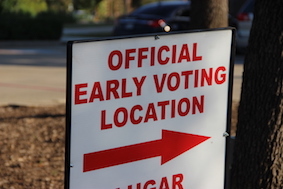 As early voting opened on Oct. 24, voting booths lined the inside of Coppell’s Town Center building. 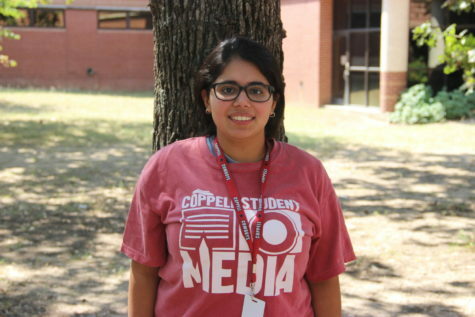 Voting began at 7 a.m. and citizens of Coppell were eager to place their vote for their choice of candidate early. Voters waited in a short line inside the building to cast their vote, using their voice in a decision that will help determine the future of this nation. 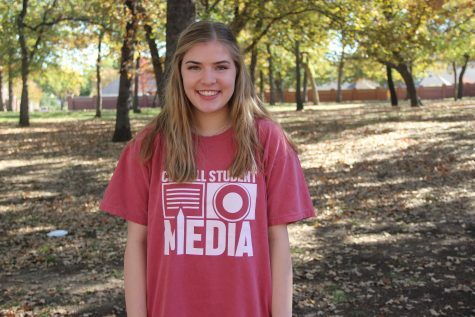 One waiting in line to cast her vote was Coppell High School senior Amanda Moehlis. Moehlis is a first time voter who stood excitedly, not expecting the response she received when she stepped up to the booth. Moehlis, who turned 18 on Oct. 21, was able to make the deadline, Oct.11, to vote in this election. Voters in the state of Texas are swarming to the polls. Many just want to save time; others feel like they cannot wait until Nov. 8 for their voice to be heard. Coppell resident Ben Stevens cast his vote on Oct. 24 for Republican nominee Donald Trump. “[Trump exhibits] integrity,” Stevens said. “Hillary Clinton doesn’t display that to me at all particularly with regards to to servicemen since I’m an ex-military man. That was one of the issues with me. Lots of questions about the Clinton Foundation, the money, the email fiasco going on right now. It just seems like she’s a robot saying a script. Another voter expressing similar reasons for voting early was CHS economics and psychology teacher Jared Stansel. North Lake College, North Lake Comm Lib Bldg L; 5001 N. MacArthur Blvd. in Irving. Coppell Town Center; 255 Parkway Blvd. Valley Ranch Library; 401 Cimarron Trail in Irving. These locations and others will also be active voting sites on Nov. 8, general election day.